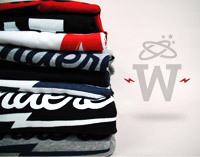 The Wanderer Clothing Blog: T.I. Might be Signing Yo Gotti? T.I. Might be Signing Yo Gotti? So a friend of mine hit me up today saying that he heard through the grapevine that Yo Gotti might be signing to Grand Hustle by the end of this week. Now I'm not one for believing in rumors, but this would be a dope collab between the two. Maybe this could help Gotti reach that tipping point to stardom, like he so much deserves. So I'm most definitely interested in seeing if this rumor is true, just like I was with the Young Buck to Grand Hustle. But that has yet to happen either.